* Accessorize your bridal or special occasion gown with the traditional elegance of pearls and the dazzling shimmer of crystals with Mariell's exquisite pearl and rondelle necklace. 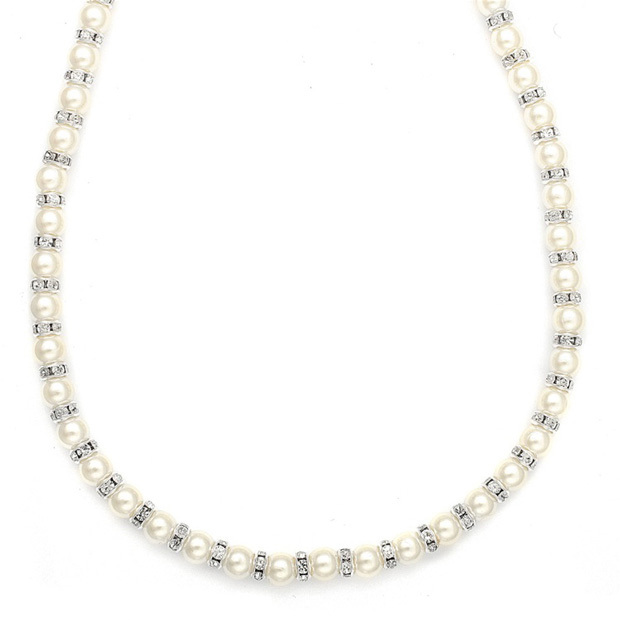 * Featuring 6mm pearls alternating with silver rhinestone rondelles, this alluring 16" necklace is hand-made in the USA in your choice of White or Ivory pearl colors. * This necklace is a bridal classic and is popular with mothers of the brides as well. * It has a stunning matching bracelet 189B and lovely earrings 709E sold separately.